This document explains how we (me, the psychotherapist and you, the client) work together. The room reservation will be held for you each week and the fee will be payable to keep your session whether you attend or not. Only in exceptional circumstances, at the discretion of the therapist will the fee be waived. Holiday periods should be agreed in advance with as much notice as possible. In the event that I have to miss a session you will not be charged for that session. I adhere to the BACP (British Association for Counsellors and Psychotherapists) and UKCP (United Kingdom Council for Psychotherapy) code of ethics for Professional Counsellors. The codes of ethics can be found in more detail on the website of each organisation. Click below for full details. I carry professional liability insurance and have been DBS (criminal records) checked. Your personal details, the content of our sessions and my case notes will be kept confidential. Exceptionally, where there is a risk of harm or when required by law, I may need to make limited disclosure to a third party. Wherever possible, and if it is considered appropriate, you will be informed of this. Please be advised that I will not provide a court report or present as a witness on your behalf at any court case relating to any therapeutic alliance. Counsellors’ notes are considered to be an aide memoire of reported events and as such are not admissible by the court. To ensure good practice, my work is regularly monitored in clinical supervision. This is a professional requirement of my accrediting organisations. You will never be identified to my supervisor(s) by full name, and any information that my supervisor(s) receive is also treated as confidential and subject to the same ethical criteria as our psychotherapy. Some of our sessions may be filmed or recorded for me to have my performance evaluated by my supervisors. This will only ever take place with your full permission and I will ask you to sign a consent form for this at the time. You have the right to withdraw your permission at any time and for any reason. I use standard evaluation systems, which have been developed to help providers of psychological therapies deliver and develop the best possible services to clients. As part of these systems, you may be asked to complete a brief questionnaire. These questionnaires assist me in understanding your problems, and ultimately, the degree to which I have helped you with those problems. I can be contacted on 07970 166174 during office hours. Texts and messages can also be left on this number. My e-mail address is: tom@talk-works.co.uk. Please only use the phone as a method of contact for arranging and re-scheduling appointments etc. If you leave a message and would like a reply, please be specific about which telephone number you wish me to use for contact, and whether it is acceptable for me to leave a message. Should we meet outside your session please be aware that I will not greet you. This is to protect your privacy and maintain confidentiality. This is especially important if you are with other people. If you acknowledge me openly, then I will respond in an appropriate professional manner. Should we find ourselves in a situation where we are part of the same group either social of professional, serious consideration will be given to the complications of this dual role relationship. 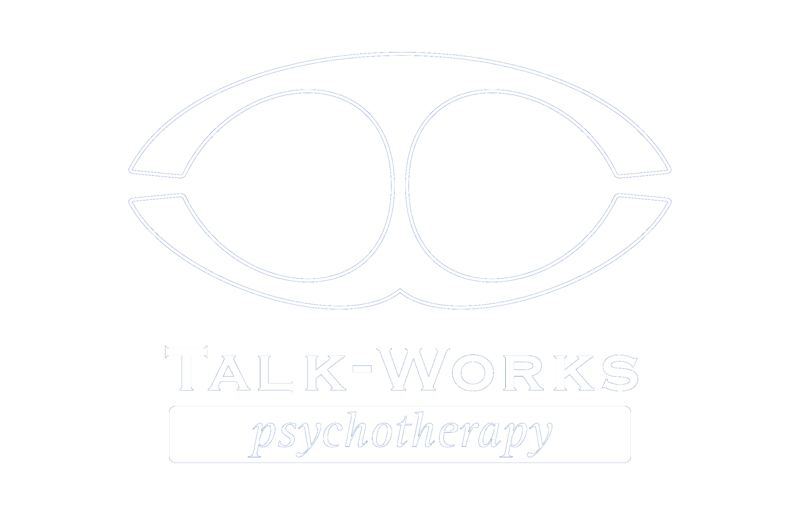 Where appropriate, and possible, I will end my therapy work with you and help you find an alternative psychotherapist. Please do not invite me to join you on any social media. I am not permitted to do so under my strict Codes of Ethics, and refusal may cause offense where none is intended. It is expected that you do not drink alcohol or take non-prescription drugs before a therapy session. My psychotherapy is for individuals only; no other person will be permitted in the counselling room at any time or for any reason. I reserve the right to terminate therapy if you are not abiding by the agreement, or are perceived to be a threat to my well being. Abusive behaviour is unacceptable and will not be tolerated. If you would like to download a copy for your files, please click the button below.